Singapore: Indian IT major Infosys plans to add 600 employees to its Singapore operations to take advantage of the shift in investments from the United States and Europe to Asia, The Straits Times reported on Thursday. “A significant amount of investments will be diverted to Asia and Singapore as there is no growth in the US and Europe," Infosys director Ashok Vemuri was quoted as saying. The Singapore expansion would involve an additional $10 million to $15 million in capital expenses and wages, said Vemuri, who heads Infosys’ Americas division. Vemuri, who was here to attend the inauguration of an Infosys development centre yesterday, said: “We want to create and own intellectual property and build transformational projects for our clients." 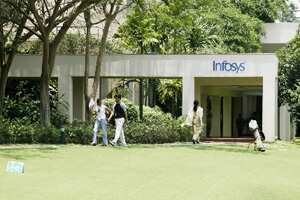 Infosys, which has been present in Singapore for seven years, aims to lead the market in providing services to banks and financial institutions that are setting up offices in Singapore to manage their Asian businesses.